When Ukrainians think of what to do during the New Year holidays, they definitely remember to watch one or all of the following films, which have become an inseparable part of every New Year celebration in every Ukrainian home. So, here are top 5 most watched New year films in Ukraine. 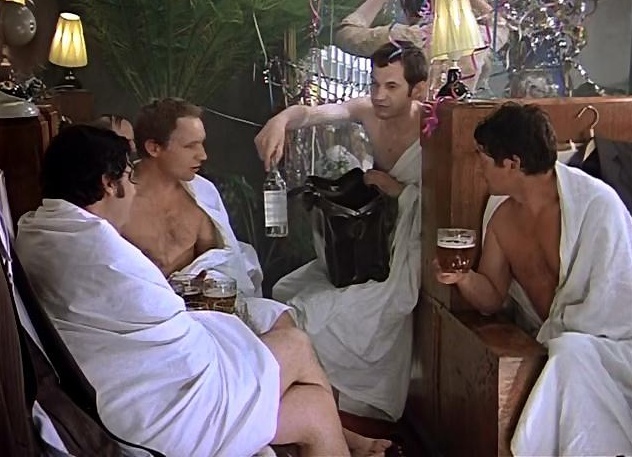 The most popular New Year film every person in Ukraine has seen is called «The Irony of Fate or have you enjoyed your bath». It seems that we have seen it for thousands of times and nothing has changed in the film, but as soon as you accidentally switch to the channel which is broadcasting this film, you are captured by its magic and cannot watch anything else while it is on. It is impossible to answer why it is so. Maybe we like this movie because it is a mixture of wonderful songs and poems written by the best poets, love and hope for the happiness that is yet to come. So if you watch this film, you will definitely feel everything yourself and understand that love can come to you out of the blue having the face of a dead-drunk man exactly when you have already decided to tie your life with another safe and loyal person, but who becomes the one you don’t need, when you understand that this is the very love you have been waiting for all of your life. The second New Year film we all like watching is called «Morozko». It is a famous Soviet fairy tale, which tells a breathtaking, light and instructive story, interesting both to children and adults. «The Sorcerers» is the third of the New year films deeply-loved by Ukrainians first of all because of its cast, which includes the most favorite actors. The story is about a beautiful girl Alena Sanina, who is absolutely happy with her life: she works in the most interesting place – the Institute of magic, and is preparing for the wedding with her loved and loving groom Ivan. However, she does not notice that one of her colleagues Satanjeev fancies her too. The jealous evil man slanders at her to their boss sorceress, who forces spring out of the girl’s heart. Now Alena is cold and mercantile. She has forgotten about her romantic beloved, and sees Satanjeev as a prospective husband. Ivan has to break the spell till 1 January comes. «The Carnival Night» takes the fourth place among the New Year films we like to watch during the New Year time. It is a light comedy telling about a bothersome bureaucrat who is trying to spoil the most important celebration of the year. So, imagine that on the very New Year Eve, when everyone is ready to launch the rehearsed entertainment program, the acting manager Ogurtsov interferes with the creative process. He does not like everything and decides to change frivolous performances to serious ones. However, jaunty youth intend to twist the downer round their little finger. 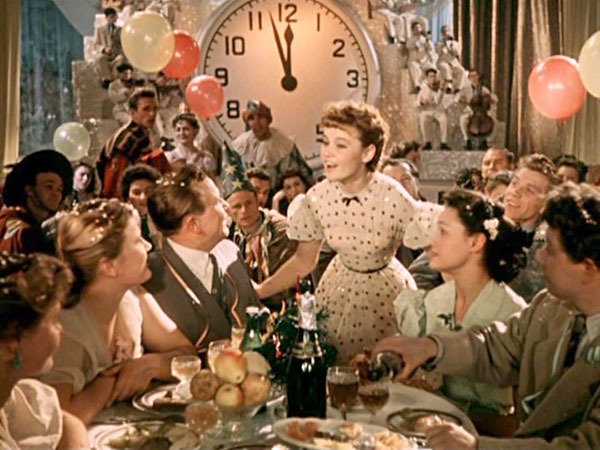 The last but not least of the New year films we have to discuss in this article has the title «The Old New Year». It is a comedy, which touches a very important issue of the middle-age crisis and the ways to fight it. The main characters are Piotr Sebeikin and Piotr Poluorlov, who are successful fathers, husbands and nextdoor neighbours in a newly built block of flats. However, they are absolutely different – one of them is an intellectual, while the other is a simple workman. Both of them organise parties to celebrate the Old New Year, which are different too. Quite opposite opinions about what fun is like almost leads to a row between the two neighbours. However Sebeikin and Poluorov are brought together by being tired from routine and they start a heart-to-heart talk.